With her expertise in aesthetic and cosmetic dentistry, in addition to complex dental surgeries, Farah Farhoumand, DDS helps countless patients achieve the smiles of their dreams. 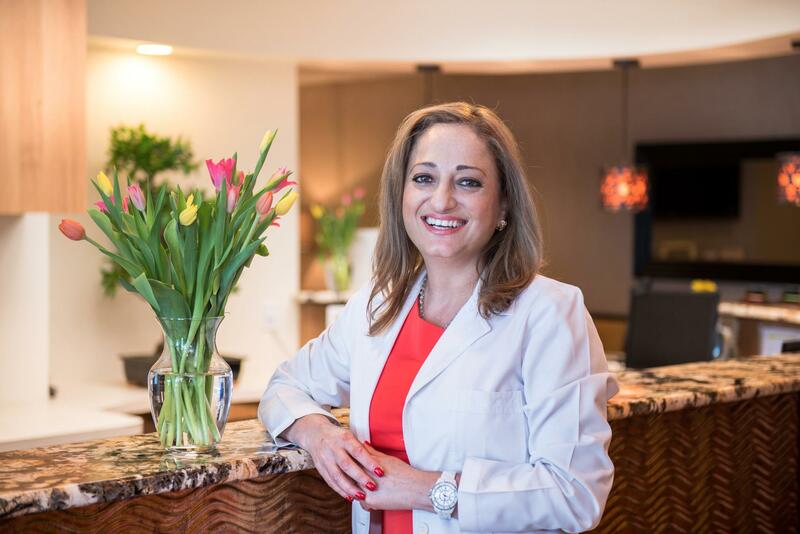 She welcomes new patients and their families to Farhoumand Dentistry in Vienna, Virginia. After completing her undergraduate degree from George Mason University in Fairfax, Virginia, Dr. Farhoumand, or Dr. Farah as her patients call her, went on to dental school. She earned her doctor of dental surgery degree from Virginia Commonwealth University School of Dentistry. Dr. Farhoumand also trained at the Rosenthal Institute for Aesthetic Dentistry at New York University to focus on innovative cosmetic treatments. Dr. Farhoumand grew up with her brother, Dr. Foad Farhoumand, in Ethiopia. They both followed in their father’s footsteps and became dentists. Shortly after she completed dental school, she joined her brother in private practice. By taking continuing education courses, Dr. Farhoumand ensures she always offers the most sophisticated and advanced treatments available. She is certified in laser dentistry, cosmetic and aesthetic dentistry, and CEREC® one-day crowns. Throughout her career, Dr. Farhoumand has spent extensive time traveling overseas volunteering in third-world countries. She has worked alongside other dentists to provide free dental care with nonprofit organizations such as the Jamaica Project and Health for Humanity. Because Dr. Farhoumand is fluent in English, Spanish, Italian, French, and Farsi, she can communicate with patients of diverse backgrounds. She believes that all patients should have access to dental care in a warm, compassionate environment. Outside of the office, Dr. Farhoumand likes to spend time outdoors. She enjoys riding motorcycles, sailing, and water skiing.